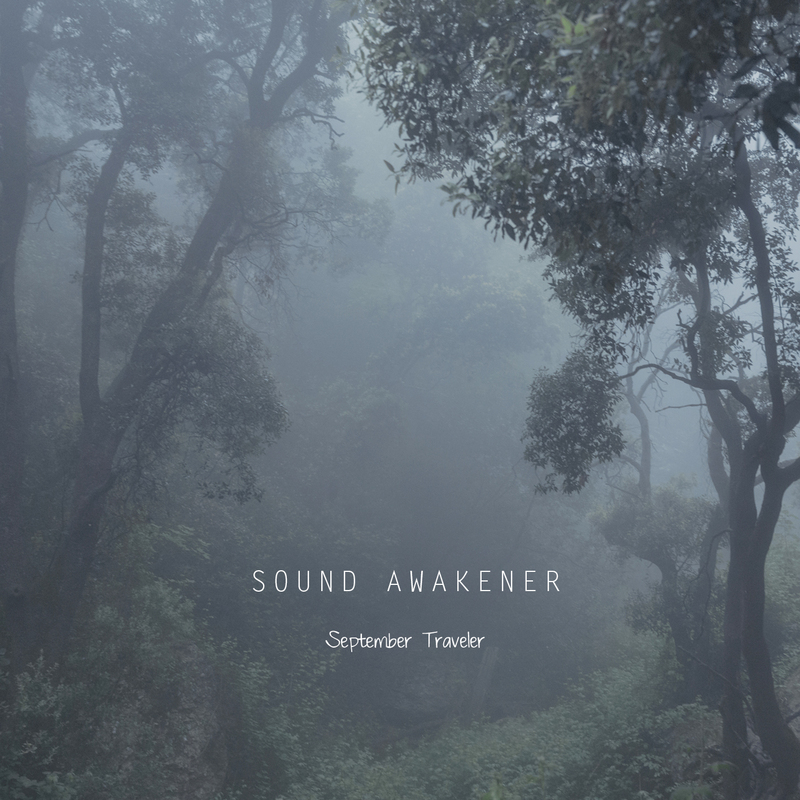 Sound Awakener is the nom de plume of Vietnamese pianist / soundcrafter Nhung Nguyen. September Traveler is a short, 30 minute sampler (so to speak) of her works from 2011 and 2012. What we have here is…well, very interesting indeed! Taking a canvas of opaque, fuzzy and somewhat muddy (but not subsonic) drone-like material to act as a building block, Sound Awakener overlays contrasting sounds to bring the package to life. Against this mud-addled backdrop, bright piano “pings” and hammered strings are showcased and brought to vivid life. The occasional three note melody pops up here and there adding a sinister music box vibe to the proceedings. Think of juicing up the saturation level of a photograph…if the ambient drone is the background, everything else is color. Boost those colors and the result is something, while not exactly dark and oppressive…not exactly sunshine and lollypops either. Well, nice theory anyway. This is a good listen…and depending on the current chemical balance of your brain, the movies are infinite.